Secretary General of world football-ruling body, FIFA, Ms Fatma Samoura, arrived in Nigeria on Saturday, ahead of more than 20 Presidents of FIFA’s Member Associations across the African continent for Monday’s 2nd AITEO-NFF Football Awards billed for Eko Hotel & Suites, Victoria Island, Lagos. 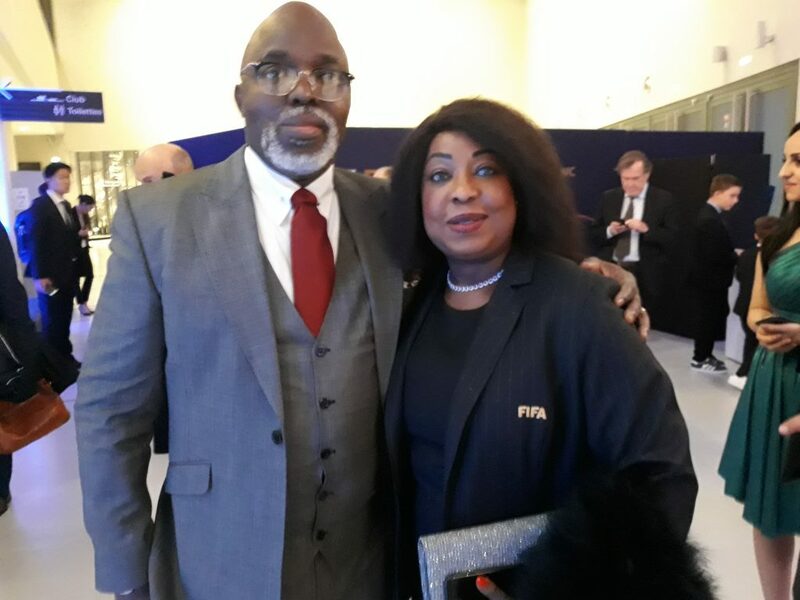 At lunch on Sunday with the bigwigs of the NFF and a number of stakeholders of the Nigeria game, the Senegalese –born former UN top official expressed her delight with being invited to Nigeria for the Awards and also for being considered worthy of a special award on the night. She will receive the NFF Order of Merit award. At a press briefing on Friday, NFF 1st President and Chairman of the Awards Organizing Committee, Barrister Seyi Akinwunmi lauded sponsors AITEO for continued support for the annual event and assured that both organizations are set to put on a great show on Monday night. AITEO’s General Manager, Finance, Taiye Eyewuoma stated that the sponsor, Nigeria’s leading energy solution company and NFF’s Official Optimum Partner, is committed to continuing to sponsor the awards ceremony as the partnership “is yielding good dividends for AITEO”. AITEO is also the sponsor of the Federation Cup competition and the annual African Football Awards. 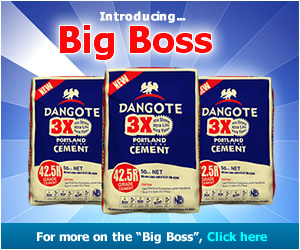 Monday’s event will be broadcast live by leading television houses SuperSport and Africa Independent Television (AIT). Among the highlights of the night would be the special honour to the 1994 set of Super Eagles – the squad forever referred to as the ‘Golden Generation’ for being the first to qualifying Nigeria for the FIFA World Cup finals, winning the Africa Cup of Nations in Tunisia and reaching the Round of 16 at the World Cup finals in America. A good number of the squad members teamed up with the Dream Teamof 1996 that became Africa’s first winners of the men’s football gold at the quadrennial Olympic Games. Governor Akinwunmi Ambode of Lagos State will be presented with the Lifetime Achievement Award, while internationally –renown business mogul, politician and avid football financier and supporter, Chief Moshood Kasimawo Olawale Abiola, who died in 1998, will be honoured post –humously with the NFF Presidential Award. A welcome remark by NFF 1st VP/Chairman, Organizing Committee, Barrister Akinwunmi will be preceded by a performance by internationally –respected dancer Kaffy, before brief remarks by President of NFF, Mr. Amaju Melvin Pinnick, NFF and AITEO’s Deputy Managing Director, Mr. Francis Peters. Superstar musicians D’ Banj, Ricardo Banks and Timi Dakolo are among those to entertain on the night. Former Nigeria captain, Olusegun Odegbami, Super Falcons’ legend Maureen Madu, former Super Falcons’ coach Edwin Okon, former FIFA referee Faith Irabor and Chairman of the Nigeria Women Football League, Aisha Falode would be among the presenters at the event. The Nigeria Football Federation will hold an extra-ordinary General Assembly at the Eko Hotel and Suites, Victoria Island, Lagos on Monday. Thenff.com learnt at the weekend that the issue of the postponement of elections into the Executive Committees of the Football Associations in the 36 States and the Federal Capital Territory, Abuja is on the agenda. Members of the NFF Congress, made up of Chairmen and Secretaries of the Football Associations of the 36 States and the FCT, and Chairmen and Secretaries of the various Leagues, Coaches Association, Referees Association and Players’ Union, arrived in Lagos on Sunday.